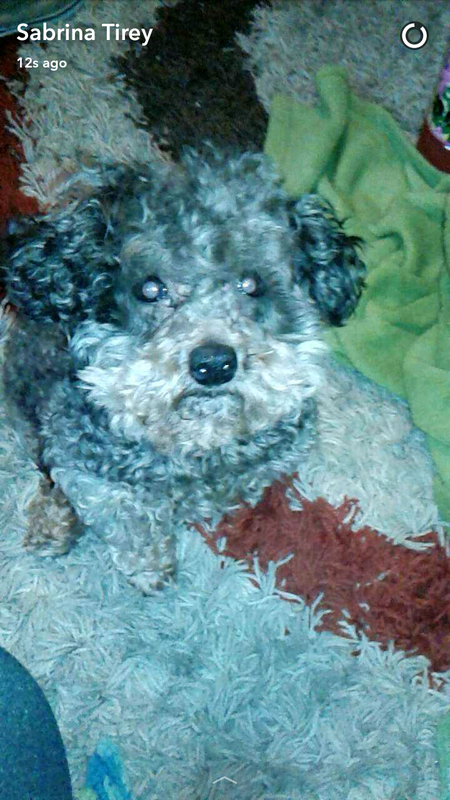 Please Give a DETAIL­ED Description of Yo­ur Missing Pet: Champ is a grey male toy poodle. He does­n’t look like a toy poodle he’s maybe a foot tall and chunky. His hair is primar­ily grey with darker grey parts and he doesn’t have a typical poodle hair cut it­’s more shaggy. He’s about 12 years old and starting to loose his vision. He’s also a very friendly dog.